God is so good to me. So very good. Everyday He is using His people to bless me and lift me up and I am so grateful. I know I have said this many times, but it is always what is in my heart and at the top of my mind, so I will probably mention it again and again. I am just so thankful for God’s people. The doctors in Conway have been wonderful to me. We are fortunate to have such an expert team of doctors in our community and the care I received from them was exemplary. 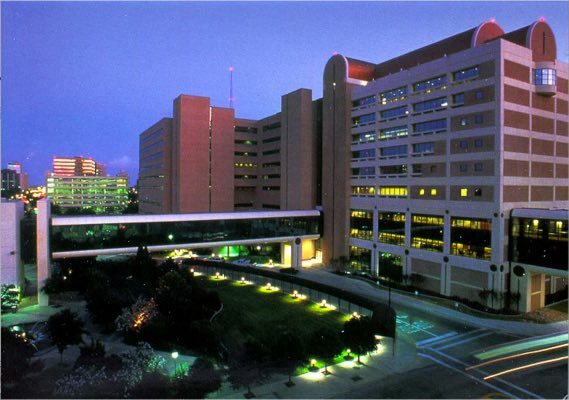 However, upon confirmation of my diagnosis of Inflammatory Breast Cancer, we decided to seek treatment at MD Anderson Cancer Center in Houston, TX. We did this for two reasons; the first being that this type of cancer is very rare. Less than 1% of all diagnosed breast cancers are IBC. One of my local doctors has only seen one patient with IBC in her 17 years of practice. Secondly, Dr. Mariana Chavez-MacGregor, and her colleagues, are among the top in the world in their research and treatment of IBC. The hospital accepts only 100 patients a year with this diagnosis, yet has an entire wing devoted to researching and caring for these individuals. And I guess there was also a third reason. Patrick. He was adamant that I receive the absolute best care available for this very aggressive and rare form of cancer. I do not want to get in to the usual prognosis/survival statistics for this cancer, but he was resolute that I was not going to be a statistic, and unrelenting in his research regarding my care upon hearing the diagnosis. God most certainly went before us. From the moment we walked in, we were enveloped in His peace, and we had assurance that He was right there with us the entire time. Medical terminology is like a foreign language to me. I don’t like words I can’t even pronounce, but for those of you, who like my husband, understand all this stuff, I’ll throw a few words out there for you. I’m not sure what it all means at this point, still learning this new terminology. Every test, scan, biopsy, blood draw, examination, and x-ray was reordered and administered yesterday. Although I felt like pin cushion by the end of the day, I had already made several new best friends. (Which is one of my favorite things to do.) My team of doctors are amazing and Patrick and I connected with each one of them. I am confident that they are pulling for me and want me to beat this as much as I want to beat this! My diagnosis of IBC still stands, but we learned some additional information as well. I have triple negative IBC which means that three of the most common types of receptors known to fuel breast cancer growth– estrogen, progesterone, and the HER-2/nue gene– are not present in my cancer. Since my tumor cells lack these receptors, common treatments like hormone therapy and drugs that target estrogen, progesterone, and HER-2, are not going to be effective treatments for me. However, chemotherapy is still a very effective option, and triple negative breast cancer sometimes responds even better to chemotherapy in the early stages than many other forms of cancer. One of my diagnostic tests was a lymph node biopsy. We received the news yesterday that it has metastasized to my axillary and clavicular lymph nodes. My chemo will target those too of course, and they will also be removed in my upcoming surgery. There is a great deal of information I have yet to process concerning my treatment, so I will post more details about that very soon, once I get my mind wrapped around the particulars. For now, I can tell you that I will be undergoing chemotherapy for about eight months. The first phase of my treatment will begin next Monday, September 8th, and will continue until December 22nd. I will have 14 infusions of those drugs. Thereafter, I will receive a different type of chemo once every 21 days spanning from January through March. I will receive four infusions of those drugs. In total, I will be given 18 chemo treatments. A complete mastectomy will follow chemo, then 12-16 weeks of radiation, then reconstruction surgery will, hopefully, complete my treatment. You people are amazing. Loving me. Loving Patrick. Loving my kids. How am I blessed so much that I have you all? God is so good to me! Patrick, installed one of his fancy little plug-ins on this blog so I could see how many people visit the site. (It doesn’t show who visits, just the number.) Do you know I have close to a thousand unique visitors a day? Holy! That is HUGE! And it is all you people who are loving me and praying for me. How do I thank you for that? I don’t even know, but know this, I’m praying for you too. I’m praying God will work in each of your lives, for whatever battle YOU are facing right now. He is the same God that is fighting for me, and I want you to know, He will fight for you, too! He loves us all. I love you so much Tina! You are a blessing to each of us. Your words are truly inspiring! Our continued prayers! Thank you for sharing with us! Hey Tina…I absolutely LOVE your attitude! And you’ve embraced all the emotions that are soon to approach…way ahead of the game if you ask me! I’m still in shock of your diagnosis (when Brenda Landrum told me I prayed immediately) but I know God is with you. We are definitely praying for you at the Barley home. Tina, you’re amazing me with your strength and strong attitude throughout everything! I’m glad you have the best dr.’s to treat you, and are treating you so well. I share your site with everyone I can, and I have everyone praying for you! You’re going to beat this! I’m praying for you, Patrick, Maddie, and Creed! And I’m thankful that God led my brother into the medical profession! It’s such a blessing that he knows what the dr.’s are talking about, and he will make sure you are well taken care of! Prayers everyday for you! If my math is correct, your chemo #12 will wrap up on Monday, Nov. 24, just in time for an awesome Thanksgiving! Will be praying. Each chemo day is on my calendar. Praying and praying! You will overcome this I just know it. Last year our youngest son fell off an UTV and landed on his head. He suffered a severe TBI. Doctors did what they could.At one point the told us our son was dying. Procedures were slim and not promising. We came together and prayed. Prayed for the Dr. and staff that would try the only thing left. Prayed for our son and for us to accept his answer. This tested our faith, personal relationship etc. My practice has suffered, my wife has been caring for my son in Idaho for over a year, My practice is in California. My son survived, he is slowly improving,and we thank God and all our christian brothers and sisters around the country that prayed for us. I could not imagine facing the challenges in the past or those we continue to face without Jesus Christ. I know God can answer your prayers. please keep us up on your treatment. and give you strength and heal you from this cancer. Nothing is to big for our God. He loves you,Dr.Patrick and your family.